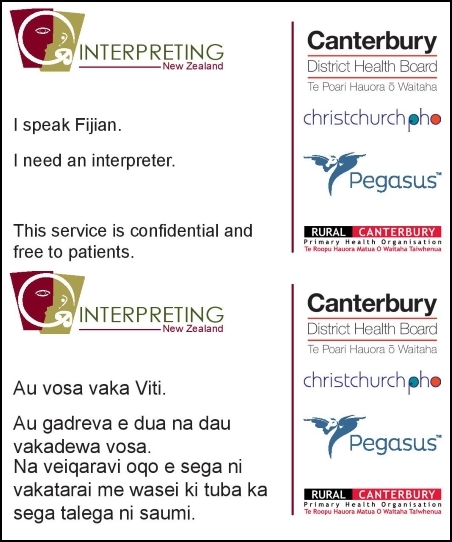 This page contains a card that you can use to request an interpreter for your medical appointment. You can download this image to your mobile phone. Touch and hold the image for about two seconds until a menu appears. Select "Save image", "Save picture" or "Download image" depending on your type of phone and browser. Go to your Photos or Gallery app. Depending on your phone, the image should be saved in the "Camera Roll", "Downloads" or "Saved pictures" folder. Written by HealthInfo clinical advisers. Page created August 2018.